the last few days have been hectic and full of activity. i decided to photo blog a simple picture. 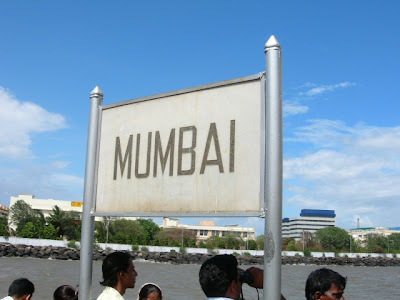 this is the signboard mentioning the city's name "mumbai" at the gateway of india. so theoretically, if anyone were to arrive into the city by ship and be powerful enough to enter via the gateway, he would know where he has reached. Wow! I didn't know we had a MUMBAI board.